The concept behind sharing the magic penny applies to so many things: love, money, time, resources, etc. I’ve noticed that is the common trait shared by my most successful peers and mentors. Without exception, they are all very generous with their time, money, contacts and energy, and they ask nothing in return. When you are willing to give generously of yourself, life has a way of repaying you in ways that you would never imagine. The energy of the universe always comes full circle. However, energy works in both directions. When people take a short-term view of the world and are focused on what is in it for them, it may provide some short-term benefits, but it will not play out well in the long term. The request for compensation was both unexpected and the epitome of such a short-term approach to life. I knew the person who wanted to make the introduction was going through some tough times, but as the saying goes, “Challenges do not create character, they reveal it.” I believe you learn the most about people when things are the most difficult. Can you be at your best when things are the worst? 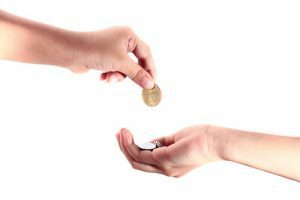 Can you be generous when money is tight? Can you give time when you have little to give? The irony of the situation was that the meeting between my friend and “the great fit” never ended up happening. However, the fact that the introduction was contingent upon compensation changed his perception of that person forever. Eric Remer founded and currently serves as CEO of PaySimple. Prior to PaySimple, he founded the Conclave Group and co-founded I-Behavior, the latter of which ultimately sold its online division to Akamai and its offline division to Y&R. He is passionate about creating platforms, growth, and watching his kids be kids.